Nope - don't call your local constable - not that type of forgery! This is our our workshop keeps warm in winter - we fire up the forge and handcraft some lovely stuff in metal. Below, Paul is working on scrolls for a client's custom balustrade. Oh Gosh! Not only are our workshop boys an attractive bunch of lads, but they can actually make your life easier too! 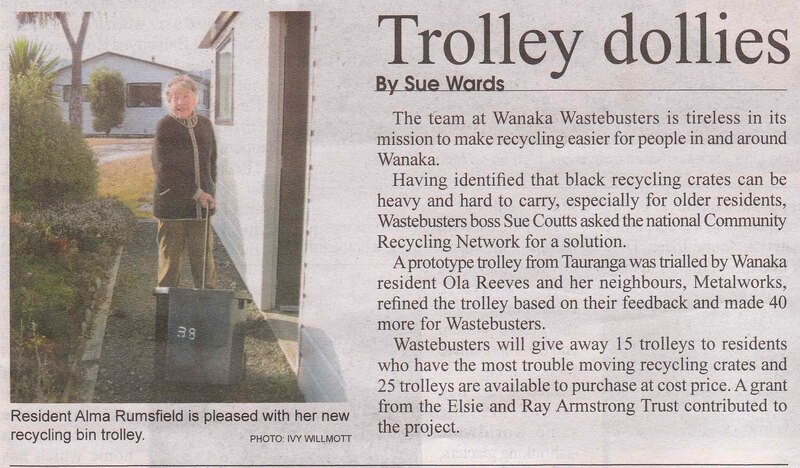 Thank you Wanaka Wastebusters and the Elsie and Ray Armstrong Trust for helping to keep Wanaka Cleaner and Greener. Hopefully you can read the print in the article! And we have something a little easier to swallow - our "ambidextrous" Whisk(e)y Room sign. Perfect for your home bar, your outdoor barbecue area or wherever you have a space approximately 2m wide! Manufactured from mild steel with a rusted finish and complete with holes already drilled for ease of attachment, this sign was originally destined for a bar in the region, who have now gone with a new sign with the "e"-less spelling. We are pleased to announce that Ernie (once again!) has earned an award for his work - this one presented by the Wanaka Art Society Incorporated for his piece "Cowbell", pictured below, in the Sculpture category. Congratulations Ernie! 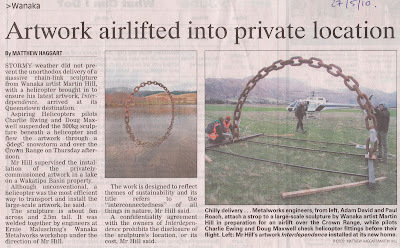 This item (along with more sculptural works and all sorts of other things to ring your bell) available for viewing personally at our gallery space - 54 Ballantyne Road Wanaka. Looking for something a bit special for your lover - well aside from our much talked about marshmallow forks (always the perfect answer for your Valentine!) 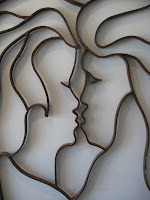 our "Kissing Gate" below could also do the trick. Currently residing on our Gallery wall as an art piece, it was originally designed as a - you guessed it - gate...function as well as form!